“The Carpark, a photographic novel of space beyond place. Woon is the city’s refugee; where every inch of land is demarcated and set for a purpose, he is navigating its margins. The world he has created unfolds in darkness, yet gleams with colours made manifold by man.” Excerpt from The Carpark essay by Charmaine Poh, Artist, and documentarian. “ It seems that we are exploring the Tower’s ‘consciousness’ as turning pages. We learn about the days of the Tower. However, what we see are not objective facts; It is just an imagination based on our own experiences. By exercising our imagination, we can see even the dream capsuled in the Tower.” Excerpt from Capsule Tower’s Dream essay by Kenji Takazawa, Photo Critic. “Seoul was a delirium. There were no clear borders to its mass; walking through it was like walking through a constant flux. A rabbit hole that rippled outward across its uneven topography and wormed down into untold concealed basements and alleys. Very quickly, it became clear to me: Seoul is a place for the restless.” Excerpt from Un-placed essay by Rachel Ng, Art Writer and Cultural Analyst. “Shyue Woon’s DARK CITIES emerged as the winning work amongst many others in the First Draft award organized by THEBOOKSHOW. This trilogy is a collection of fictional documentaries that reinvigorates our perception of the photo book through the author’s fear, ambition and faith encapsulated in an intimate and personal encounter.” Ang Song Nian, Artist and founder of THEBOOKSHOW. Shyue Woon [b.1975], trained as an Architect, uses photography as a tool to explore subtext in the built environment. In his daily practice as an architect, he turns aspirations and dreams into constructible reality. At night, he reverses the process – deconstructing reality and spaces in fiction and figments of imagination. 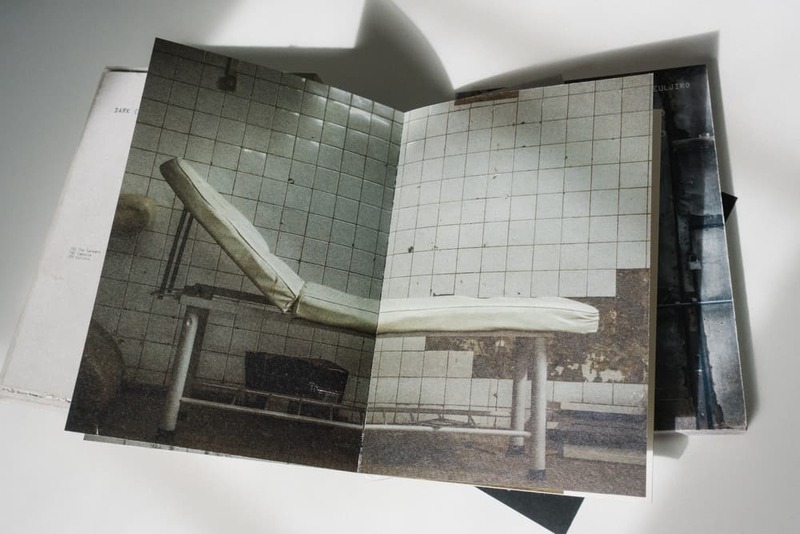 Shyue Woon’s debut photobook DARK CITITES won the inaugural First Draft Award by THEBOOKSHOW, the photobook has since exhibited at Dali International Photography Exhibition [DIPE] and Tokyo Art Book Fair [TABF] in 2017. Woon was also selected as an artist in Mt Rokko International Photography Festival Emerging Photographers Showcase 2016 and his work has been exhibited in Turkey, Japan, Ukraine, Australia, Cambodia, Malaysia, and Singapore. His works were also selected for +50, a collective for Singapore’s Photographers; and “Thank you, Mr Lee” (2015), a book tribute to late LKY. Dark Cities, by Shyue Woon [Singapore] is a Photobook Award Finalist in the Invisible Photographer Asia Awards 2018. View more 2018 Awards Finalists.